JORN is back again, or rather Jorn Lande with a revamped band. Tore Moen has been away for a while now, and the new boys are guitarist Trond Holter (WIGWAM) and bass player Bert Iversen (also WIGWAM). 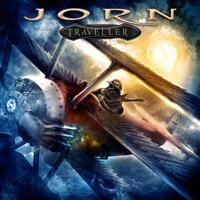 This is JORN´s eight studio album, but lately I´ve not been impressed by the song material. This album is said to be heavy yet melodic and on all subjects of life.